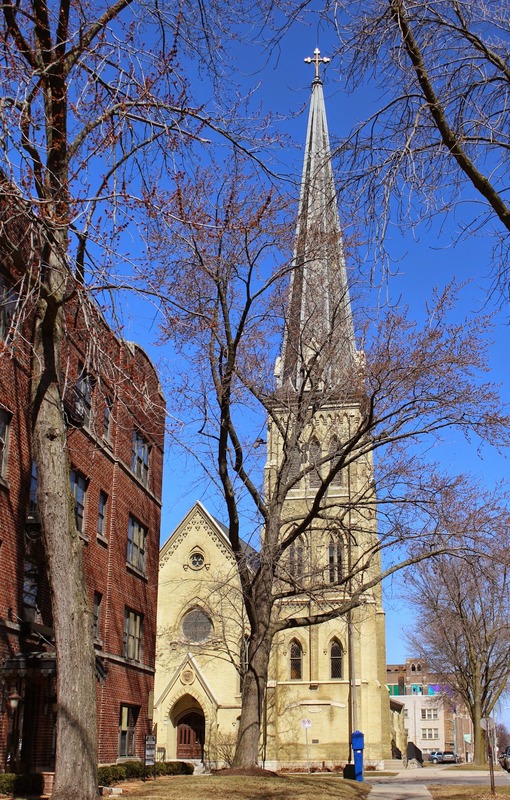 Comprising the Cathedral (1868-69), former Guild Hall – Cathedral Institute (1891), former Bishop’s House (1902-03), and landscaped grounds. 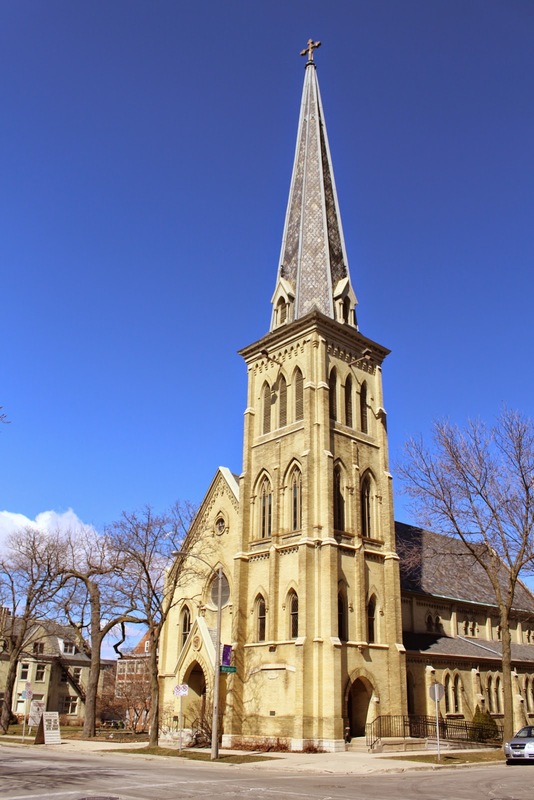 Designated as a Milwaukee landmark in 1974 in recognition of its architectural and historical significance to the community. The property is located on westbound East Juneau Avenue, at its intersection with North Marshall Street, at 818 East Juneau Avenue, Milwaukee, Wisconsin 53202. 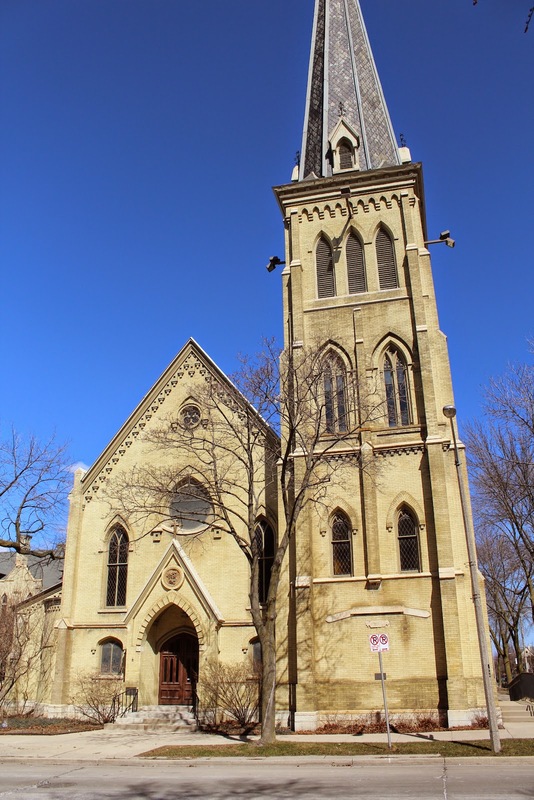 The property is listed on the National Register of Historic Places: Wisconsin: Milwaukee County and the State Register of Historic Places. See also, The Bells of Remembrance and Hope, also at this location. With Guild Hall (mentioned in the marker) in the background.